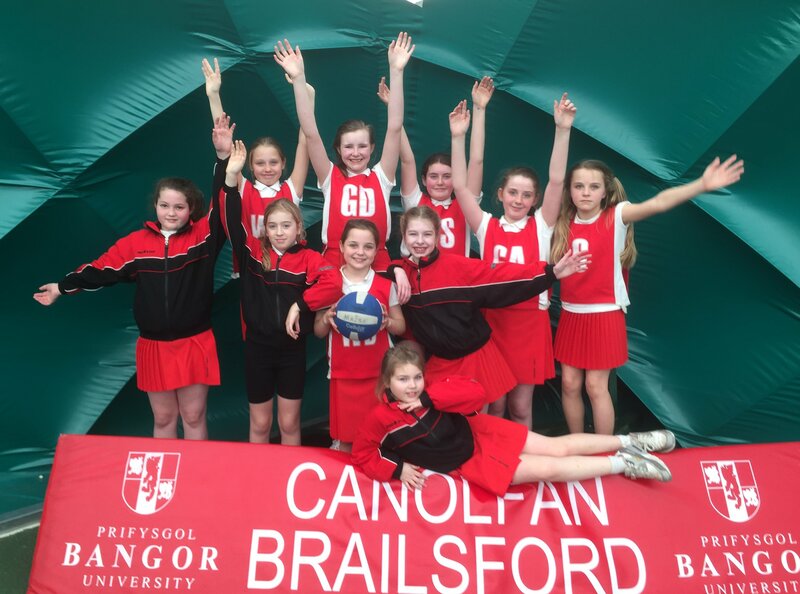 Ysgol Deganwy netball team visited Canolfan Brailsford in Bangor to take part in a local Urdd competition. The team had a great day out and highly praised the facilities at the University and the organisation of the competition. At the end of the competition the team finished a very creditable 4th place and everyone said what a fantastic and enjoyable time they had. A big thank you to everyone who helped out on the day, Diolch yn fair iawn!